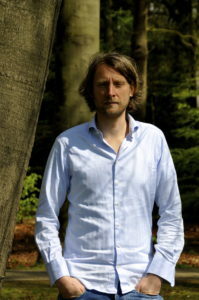 On 8 November 2013 Alexander Prinsen stepped into the Airplane to start his MBA, Masters of Beautiful Achievements, research project with the goal to visit and interview Entrepreneurs, Designers and Scientists on the topics they are the expert. It all started around 2010 when in that year Blue Economy, Circular Economy and Cradle 2 Cradle were globally launched. Suddenly there was a need to do better and a global awareness emerged that a sustainable future is the only way forward. It become clear to me that doing sustainable was not about being philanthropic, and various companies were leading the way. The more I read and talked with people before 2013 the more I found out that I had a huge knowledge gab. The media and most companies were telling they were sustainable and still the environment was being polluted. Doing less bad seemed to be the statuesque, instead of doing better. I learned I had a huge knowledge gab to fully grasp what is needed and more importantly how to innovate to get there. I needed a learning program that would teach me what I needed to know, and I knew that this program did not exist. My Masters of Beautiful Achievements was born in 2013 and I created a travel schedule to visit the people I have heard about from whom I wanted to learn directly to catch up. This MBA is about a person deciding that its time to Do It Yourself and get out there to make it happen. In the end its about doing what you dream and make it happen even when funding are limited. Until today this has been the best decision of my life and I’m so grateful of all the support from my teachers to have given the privilege to learn from them.